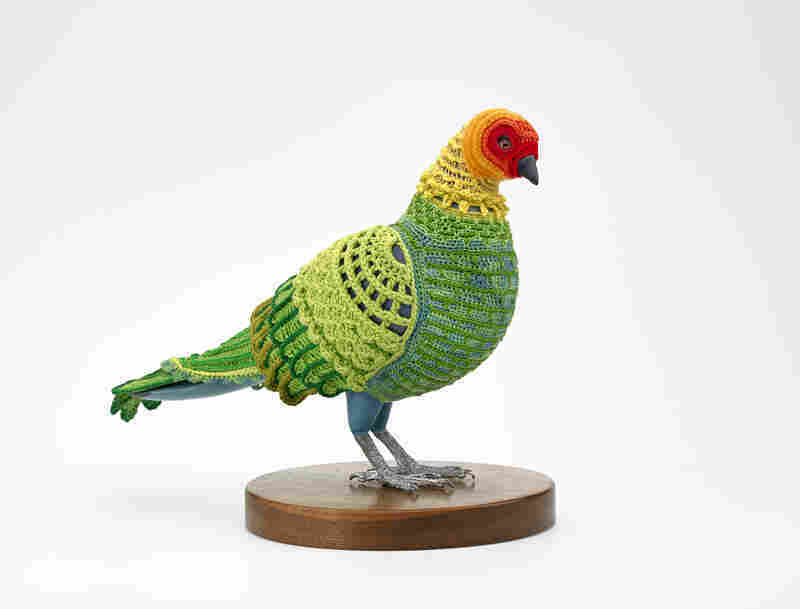 Laurel Roth Hope, Biodiversity Reclamation Suit: Carolina Parakeet, 2009. Suit: cotton, silk, bamboo, wool and acrylic blended yarn; mannequin: basswood, acrylic paint, gouache, glass, pewter and walnut. 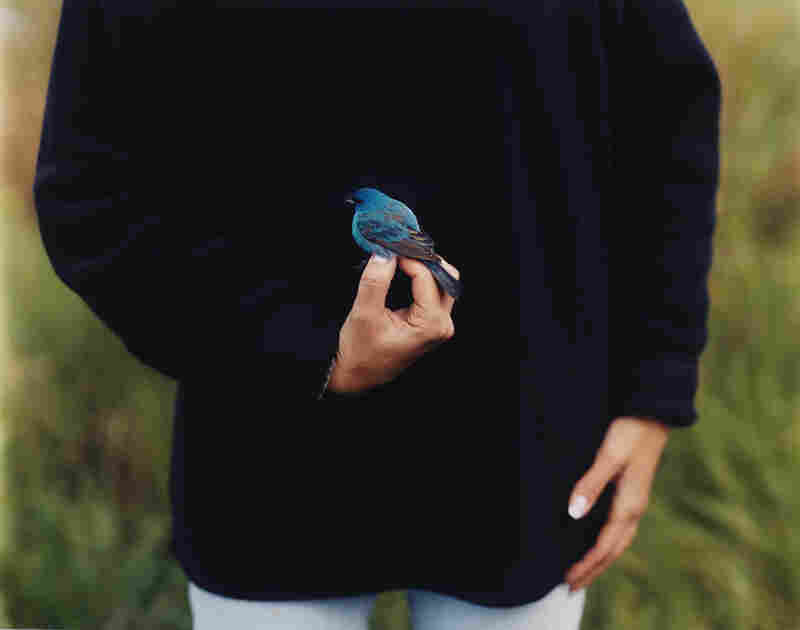 Barbara Bosworth's 2003 Indigo Bunting shows a bird about to be set free after being branded with a migration tracker. You can almost hear the winged creatures in the museum's galleries — they're so vividly and variously on view. A few — in photographs by Barbara Bosworth — are barely visible. In one photo, the teeny head of a blue-winged warbler pokes out between two fingers of a woman's hand — she's banding the bird with a migration tracker before setting it free. "It's an incredibly intimate moment of contact between humans and birds, which are actually so rare when you think about it," says exhibit curator Joanna Marsh. We're often removed from our environment — especially in cities. Marsh says birds are an easy way to connect to the natural world. The Fish and Wildlife Service says bird-watching is the fastest-growing form of outdoor recreation in this country. Lorna Bieber enlarged a photograph of a bird's eye and beak for her 2000-2001 work, Bird/Portrait. You don't need birders binoculars for Lorna Bieber's Bird Portrait — an extreme close-up of an unknown bird's eye and beak. "It looks massive because the image has been enlarged tremendously," Marsh explains. "Bieber works with photography but isn't actually a photographer herself. All the materials she uses are found images from books, catalogs, field guides, and she manipulates the source images by enlarging them." The result is a huge, striking image rendered in black and white. Seeing it this close, it's troubling, and a bit scary. Equally troubling is Rachel Berwick's sculpture of a jaunty tree, its branches laden with orange birds made of resin. 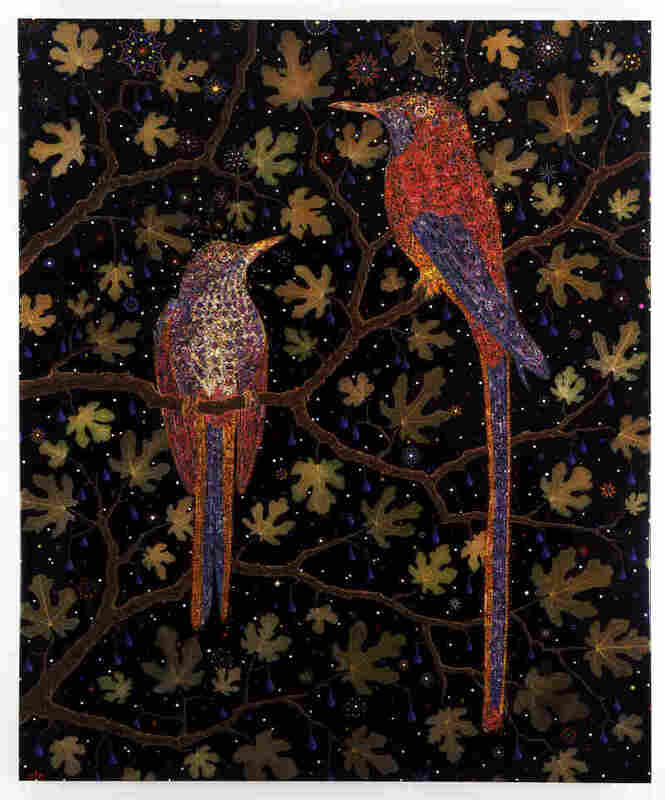 The birds are translucent, and, lit from above, they seem to glow. "These birds are like a specimen frozen in amber," Marsh says. "These orange birds are actually casts of passenger pigeons. 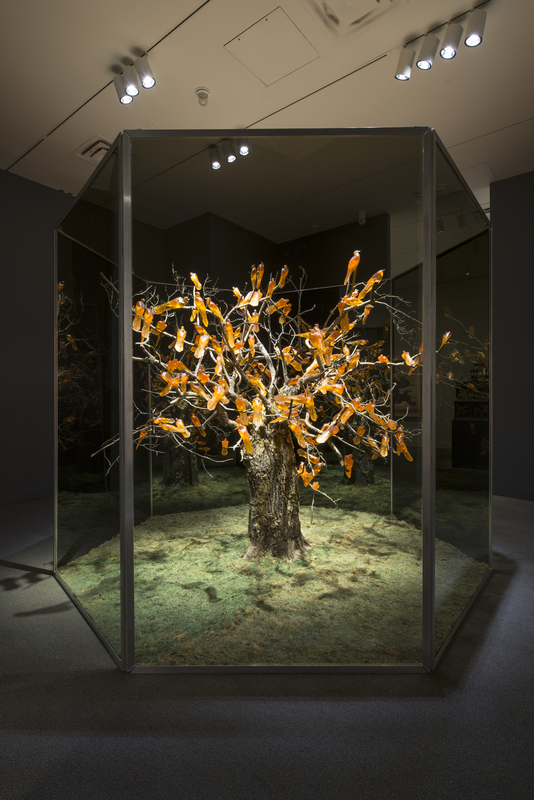 And as you walk around the piece, the tree and the birds appear to multiply as if we're looking at a forest." 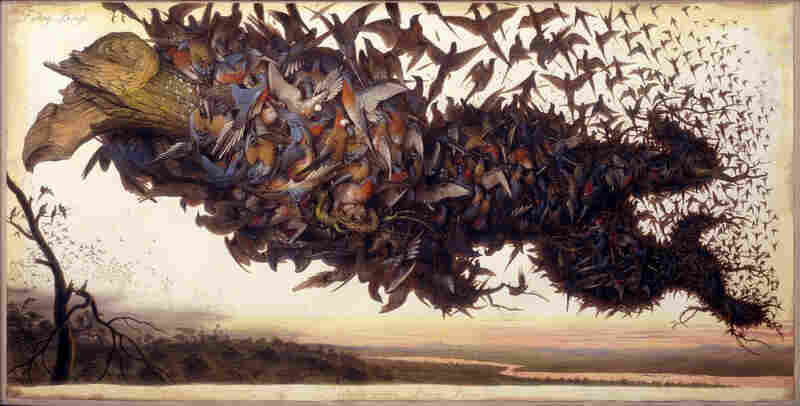 The orange birds in Rachel Berwick's 2009 Zugunruhe are casts of passenger pigeons, a species that is now extinct. 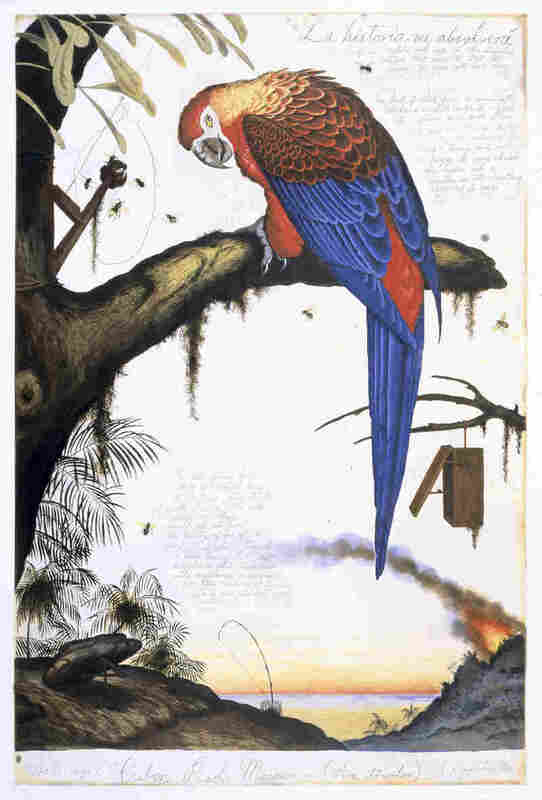 The 100th anniversary of the extinction of passenger pigeons was Marsh's inspiration for the show. Once the most populous birds in North America, they migrated in flocks of billions. 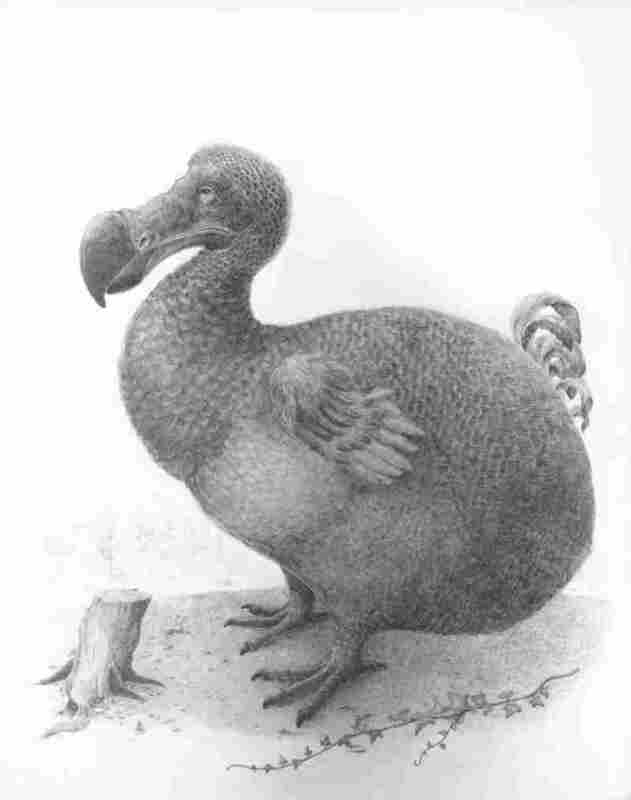 But in just 50 or 60 years, they were gone — habitats were destroyed, hunters were voracious. Words from Toni Morrison adorn one wall of the exhibit: "I don't know whether the bird you're holding is dead or alive, but what I do know is that it is in your hands. It is in your hands." 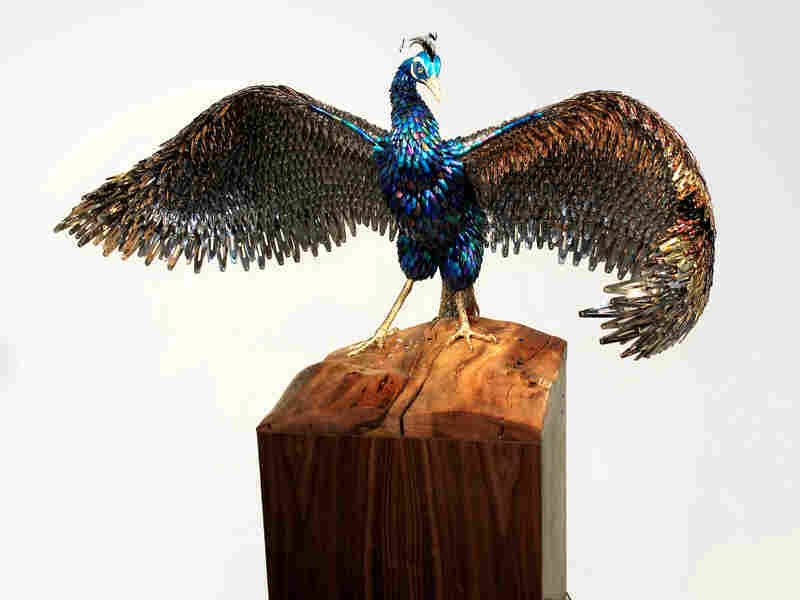 So, the show wraps a moral around these beautiful sculptures and paintings and photographs of creatures that can soar. 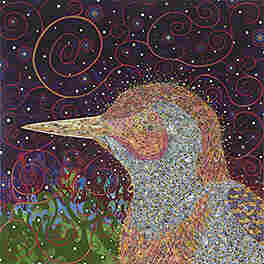 As for soaring — when you take a bird out of the sky and put it onto a canvas, something gets lost. "I think that's so much about what this exhibition revolves around," Marsh says. "Even the title of the exhibition, 'The Singing and the Silence,' it's about abundance and extinction, about life and death — these dichotomies. 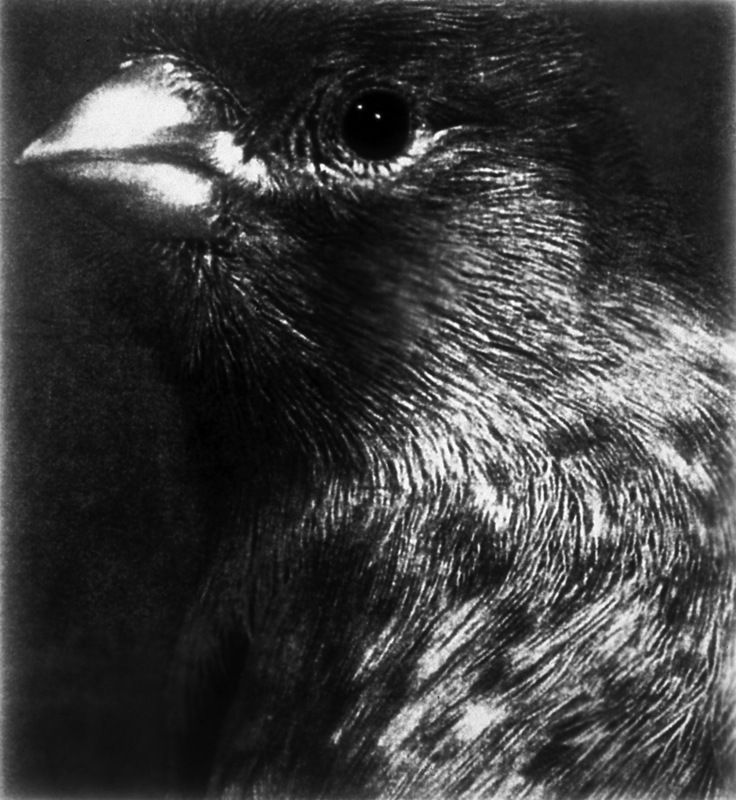 When you capture a bird in a photograph or a painting, you do ... lose their ability to fly." 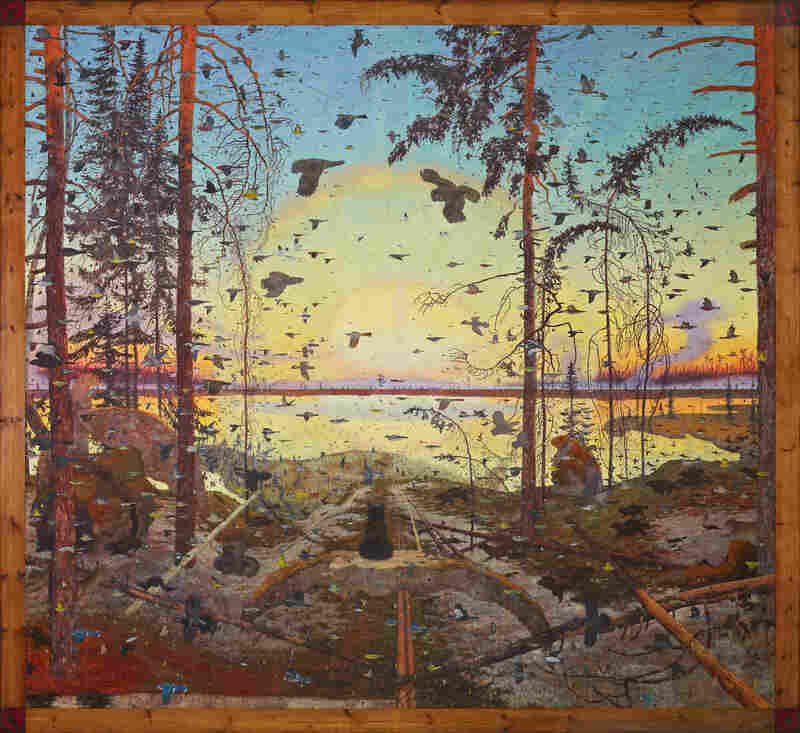 If you can, fly over to the Smithsonian American Art Museum to see this knockout of a show — it closes on Feb. 22.